Back in the boom times of the Real Estate market from the mid 1990’s until the mid 2000’s getting a Massachusetts home truly ready for the market was far less important than it is today. Every home seller today is in stiff competition with the next guy down the street with far less buyers in the market place. One of the things you hear talked about a lot in Real Estate circles is “curb appeal”. 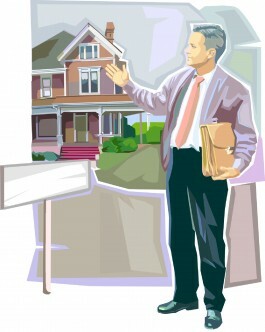 1st impressions are an important factor when you are selling a home. Since the 1st thing a buyer looks at when they visit your property is the yard and the exterior of the house, you want to make sure that at the very least it is presentable. Clean up all debris from the winter months including any tree limbs, branches, and left over leaves. Clean the driveway and walkway of any sand and other debris. Pay careful attention to have all your landscaping beds raked and weeded out. Adding a fresh coat of mulch always goes a long way. Trim the bushes if needed. Pay attention to keeping them a few feet back from the home allowing for proper ventilation. Consider planting some hearty Spring flowers that have lots of color. Assess your driveway and get it seal coated if it looks old and worn. Seal coating is fairly inexpensive and really does wonders to give your home a new and appealing feel. Clean out your gutters. Leaves hanging out of gutters creates a feeling that the home is not well maintained. Hose down your deck and consider seal coating the surface if needed. Look for any rotted trim and replace as needed. The entry way to your home should sparkle! A fresh coat of paint on the front door always looks great. Make sure you remove any cob webs. Consider adding a few potted plants at the entry with some vibrant flowers. Use a garden hose and spray down any areas of your siding that may have mold or mildew build-up. Before visiting some tips for sprucing up the interior of your home please keep in mind that a buyer almost ALWAYS estimates higher than the actual cost to make necessary repairs and or improvements. It will cost you far less money to do these things than letting the buyer deduct an appropriate credit in their mind. The 1st thing any home seller should consider is taking any unnecessary possessions and remove them from the house. You want to make your home feel as large and airy as possible. De-cluttering old furniture, boxes, and nick knacks go a long way in making a home presentable. I would consider a local storage center in your area for these things, as it is well worth the money spent. This of course is if you don’t have the space in a basement or attic. If there is not a local storage facility, I would suggest renting a storage unit from PODS (portable on demand storage). Once the clutter has been removed a major Spring cleaning should take place. The bathrooms and kitchen should be spotless! These are the rooms that buyers will pay the most attention to. These rooms are the most costly to upgrade so buyers will be much more picky here. Clean out all the closets in your home. Buyers are always looking for closet space. Having the closets neatly organized is important. Wash down all the windows. Homes always show better when there is plenty of natural light. Don’t let years of grime and dust get in the way. Touch up painting is essential in any home sale. Concentrate on high traffic areas where scuff marks and worn paint are easily visible. Homes that have painting issues really stand out but in a bad way! Always paint or bleach any old ceiling stains away. For example, if one of your kids took a shower without the curtain fully closed and there is a large stain in the kitchen ceiling below the bath above get it fixed! The fact that it looks awful is reason enough but buyers will also assume you have a plumbing issue. Clean out and organize the garage. A spacious garage will be a consideration for many Massachusetts home buyers. In areas of your home where natural light is not the best make sure you have lamps with higher watt bulbs. In addition make sure they are on for showings. There is nothing worse than a dark home. Clear your kitchen counters completely of everything but the bare bones essentials. Buyers love to see spacious counter areas. Clean all faucets,mirrors,lights, and ceiling fans. There should be no visible dust bunnies! Re-caulk any tubs, showers, sinks, or tile work that has loose grout. If you have leaking faucets make sure they are corrected before placing your home for sale. Watch the terrific Howcast video below that does an excellent job of pointing out the things that are necessary to prepare a Massachusetts home for sale. Staging a Massachusetts home is an important factor in improving your chances for a timely sale. While getting your home to look outstanding is an important piece of the home sale puzzle don’t forget that the right price and picking a top producing Realtor to work with should be the two most important considerations. In other words staging does not sell a home if you pick a real estate agent who has misled you on your homes true value or one that doesn’t know the first thing about marketing properly. Staging is not a miracle cure for these things as some home stagers will lead you to believe. You want your home to look fantastic but don’t pick a real estate agent just because they are offering to provide you with free professional staging. This would be a big mistake that could end up costing you in the long run. Best of luck with a timely sale! About the author: The above Real Estate information on staging and preparing a Massachusetts home for sale was provided by Bill Gassett, a Nationally recognized leader in his field. Bill can be reached via email at billgassett@remaxexec.com or by phone at 508-435-5356. 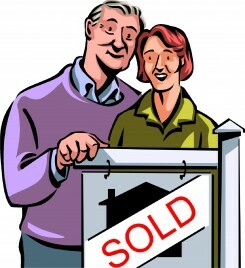 Bill has helped people move in and out ofmany Metrowest towns for the last 27+ Years. I service the following towns in Metrowest MA: Hopkinton, Milford, Southboro, Westboro, Ashland, Holliston, Upton, Mendon, Hopedale, Medway, Franklin, Framingham, Grafton, Northbridge, Shrewsbury, Northboro, Bellingham, Uxbridge, and Douglas. I am a professional home stager in Michigan and Bill Gassett knows what he is talking about. I was very impressed when I realized that he had written this himself. If you are a homeowner looking to sell your property in Massachusetts, you have the perfect real estate agent right here. He has the ” home stager” built right in so you are getting two for one! Great job Bill! Thanks Joey! I know how important it is today to have a home looking it’s best when it hits the market. Buyers have so many options today. I seller that pays attention to the little details can help themselves tremendously. This is a fantastic article and I found myself nodding in agreement the whole way through it. It covers all the bases of getting your home ready to sell. I am going to pass it along to my sellers! Thanks for writing it.